Keyboard replacement on a unibody MacBook Pro is not a simple process. It involves taking every major component inside the laptop apart and removing many screws. 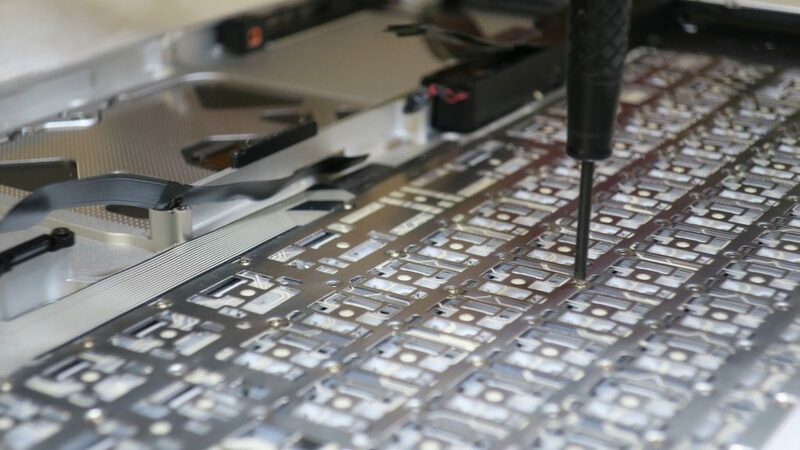 Just how many screws are in a unibody MacBook Pro? The quick answer is around 100. The precise answer depends on the exact model year and screen size of your MacBook Pro. 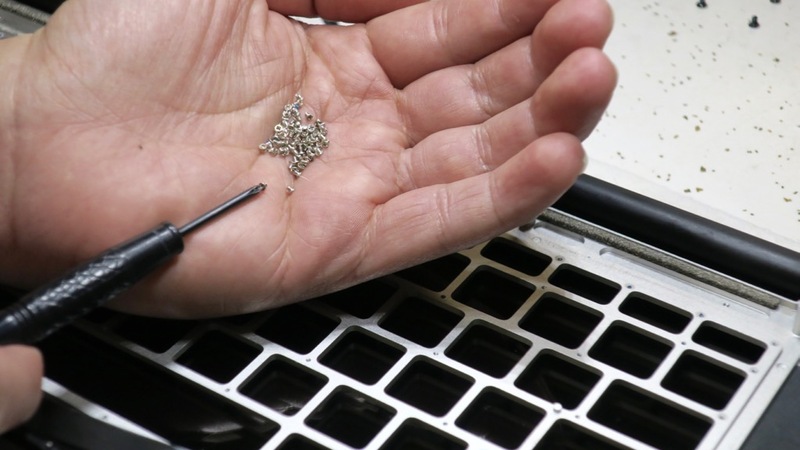 The one component with the highest concentration of screws is actually right under your finger tips. That keyboard you’re typing on is held together by at least 50 to 70 tiny screws. I recently replaced a keyboard on a unibody 15″ MacBook Pro (damaged due to liquid spill). I counted 74 screws for the keyboard alone. Before I could get to the keyboard, there were 10 screws for the back cover, another dozen screws for the logic board and a couple dozen more holding other components in place. What’s amazing is that most Apple computer users barely see a visible screw using a Mac on a daily basis. Apple’s designers have an obsession with a clean and minimalist product design. Some of the most beautiful Macs have no visible screws at all. The first generation Mac mini for example requires a putty knife to extract the bottom case from its top enclosure. The Cube G4 is even more magical because it looks as if the computer is floating in mid air with the 8-inch aluminum cube suspended inside a clear acrylic enclosure. Keyboard replacement on a Mac is a labor-intensive and involved process. 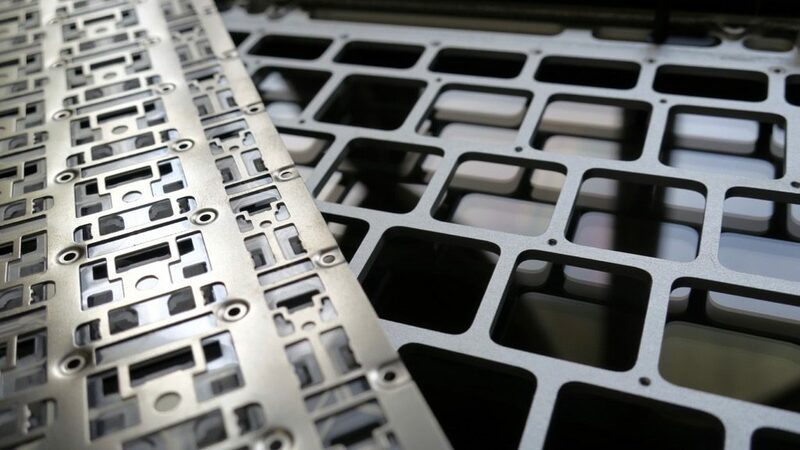 You need to keep track of each individual component and ensure parts go back together seamlessly. I enjoy these challenges though. 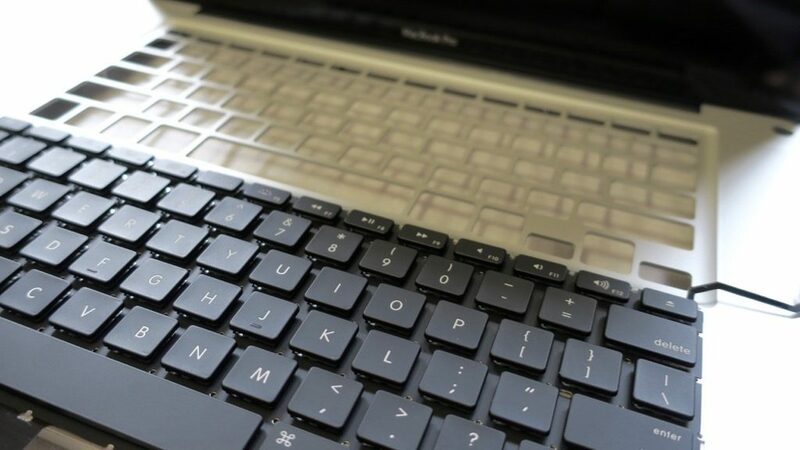 They’re a testament to the precision and high-level design of Mac laptops.